There’s nothing quite like a fresh coat of paint—or saving money on this easy, high-impact home refresh. Here’s how. Once you’ve decided to do the room painting yourself, it’s time to start planning. You’ll need to gather all the necessary painting supplies and pick a time to start painting, but staunch budget-followers will want to make sure they’re saving as much as possible on the whole project, maybe to help move toward their financial goals or to put more money toward other projects around the house. Read up on painting basics—like how to paint a wall—and finer points of the task, such as how to paint corners. Gather those supplies, pick the right paint colors, and follow these prep and painting tips to make the project as low-cost as possible. If borrowing isn’t an option, companies such as Backdrop and Clare sell painting essentials kits that can be shipped straight to your door. Buying trusty supplies now can help you save on the next painting project. A little extra leftover paint isn’t a bad thing—it can help cover holes or dings later on—but a lot can be difficult to dispose of responsibly and challenging to store. Measure the wall space that needs to be painted and use a paint calculator to figure out precisely how many gallons of paint need to be purchased. 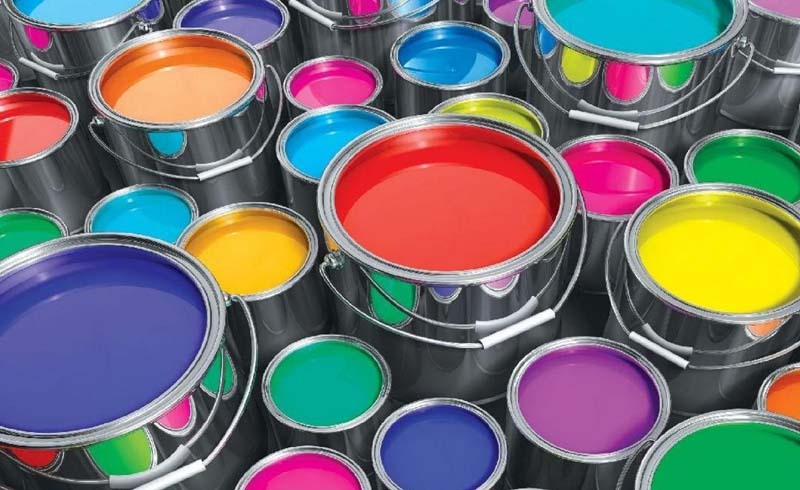 If applicable—for a large, open-concept space, for example—consider buying paint in bulk to save even more money. Bottom-dollar paints may seem like a good idea, but low-quality paints can be thin and require multiple coats to properly cover a wall. Look for a paint in the right price range that also promises a certain level of quality or necessary features, such as a self-primer, depending on what color you’re painting over. Go ahead and skip the lifetime warranty if it comes at a premium—you’ll probably tire of the paint color and repaint before the paint starts to really wear, anyway. Most self-priming paints work well enough that the extra cost of purchasing a primer isn’t necessary. If you’re painting over a dark color with a light one, though, or if the walls are particularly rough, an inexpensive primer could save you from needing to do multiple coats of (pricier) paint. Most people don’t want every single room in the house to be the same color, but reusing the same color in different spaces can mean less paint to buy, which ultimately saves money, especially if that paint color is moderately affordable. Instead of painting all the walls the same color, though, use the same shade on ceilings and trim throughout the home. This will both give the home a cohesive look and allow you to buy that paint color in bulk, especially because trim and baseboards can require frequent touch-ups. Following the appropriate steps for preparing a space—cleaning the walls first, using painter’s tape, covering doorknobs and floors, removing outlet plates and switch covers, and so on—can both save time and money. Accidentally getting paint where it doesn’t belong can make a huge mess, and in some incidents, it may mean buying new hardware. Take steps to avoid those accidents to make every drop of paint count. With all this prep and planning, it may seem easier to just get the actual painting done as quickly as possible, but taking your time, cutting in properly, and doing smooth, even rolls all help make sure the job is done right the first time. One of the costliest mistakes you can make is moving too quickly and making a mess that needs to be completely repainted.